40s | 50s | 60s | 70s | 80s | 90s | 00s | Smooth Litigator | Outstanding Service | Making the Connection | Russias City of Law | In Memoriam | And What About You? The longest-serving Chief Justice of Virginias Supreme Court, Harry Lee Carrico, JD 42, received the Harry Flood Byrd Jr. Class of 1935 Public Service Award from the Virginia Military Institute in October. The award is one of the Institutes most prestigious distinctions and honored Carricos 40 years of service to the Virginia Supreme Court. Carrico also holds an honorary doctorate from GW. Charles Ablard, LLM 59, was appointed administrative judge in the Defense Departments Office of Hearings and Appeals by Secretary of Defense Donald Rumsfeld in June. Alan D. Hutchison, JD 60, retired as chief operating officer of Marlborough Investments, an international investment firm, and now practices immigration law with offices in Reno, Nev., and San Francisco. He can be reached at battenbergexp@aol.com. In October, Jack Olender, LLM 61, was honored with the Champion of Democracy Award by D.C. Vote, a group dedicated to securing full voting representation in Congress for Washington residents. The ceremony took place in the new City Museum in Washington and celebrated Olenders efforts to promote representation for D.C. residents. Jerry Cohen, JD 62, in June was presented the fifth annual Clients Security Boards William J. LeDoux Award by Supreme Judicial Court Justice John M. Greaney. The honor recognized his outstanding legal work in representing a claimant. Cohen practices with the Boston firm Perkins, Smith & Cohen. The board is composed of seven attorneys appointed by the Supreme Judicial Court who oversee the disbursement of funds to clients who have been victimized by attorney defalcation. Serving a three-year term, John P. Sutton, JD 63, was elected president of the Section of Fédération Internationale des Conseils Propriété Industrielle, the international federation of patent counsel, at its Berlin Congress in June. 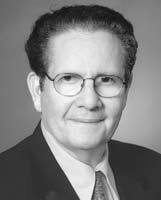 He has been a U.S. patent examiner for nearly 50 years. Michael L. Glaser, JD 65, was named shareholder with Shughart, Thomson & Kilroy in Denver. His practice focuses on regulatory, corporate transactions, and litigation matters dealing with the telecommunications industry. He serves as co-chairman of the Communications Law Forum of the Colorado Bar Association. A professor at American Universitys Washington College of Law and the University of Hull Law School in the United Kingdom, Gary J. Edles, LLM 66, SJD 75, was listed in the 2003-04 editions of Whos Who in America and Whos Who in American Law. Bringing more than 30 years of experience to the table, A. Bates Butler III, JD 69, has joined Arizona-based firm Fennemore Craig as director of the firms civil litigation and white collar criminal defense practice. Cornelius D. Helfrich, LLM 72, in June was named president-elect of the Maryland State Bar Association. Robert S. Lynch, LLM 72, received the American Public Power Associations Harold Kramer/John Preston Personal Service Award for his work as counsel and assistant secretary/treasurer of the Irrigation and Electrical Districts Association of Arizona. Lynch was recognized at the associations national conference in Tennessee in June. The award recognizes services to APPA through substantial contribution toward association goals. Specializing in appellate litigation, Peter B. Macky, JD 73, has served as managing attorney of a legal services office in Pennsylvania since 1979. He has produced nine self-help legal videos on topics including custody, domestic violence, bankruptcy, landlord-tenant law, and mediation. Since 1999, Macky has taught business law at Susquehanna University. Michael Patrick Murray, SJD 73, has published three novels and an anthology of short stories. He is currently working on a fourth novel, which will follow up on his courtroom mystery series. His previous novels, ORyans Law, Murder by Class, and Law is a Jealous Mistress, are all published by 1st Books Library and feature Sean Fitzpatrick ORyan, a lawyer dedicated to defending those wrongfully accused of crimes. In San Diego, John Benassi, JD 74, joined Paul, Hastings, Janofsky & Walker as a partner in its intellectual property, corporate, and litigation practices. He is a member of the bar in the District of Columbia, Illinois, and California. Joel L. Greene, JD 74, partner with Energy Advocates in Washington, was elected chairman of the International District Energy Association in June. Energy Advocates provides energy assessment, strategic planning, contract negotiations, and advocacy before the Federal Energy Regulatory Commission, state commissions, and the courts on fuel-related issues. 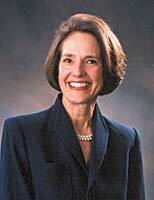 Greene has been an attorney in private practice in Washington since 1974. The Gerontological Society of America honored Marshall Kapp, JD 74, with the 2003 Donald P. Kent Award in honor of his high standards for professional leadership in gerontology through teaching, service, and interpretation of gerontology to society. Kapp accepted the award in November. Kapp also has published The Law and Older Persons: Is Geriatric Jurisprudence Therapeutic? (Carolina Academic Press, 2003), which explores therapeutic jurisprudence: the ways in which the law in practiceas opposed to in theorycan exert positive or negative effects on real people in actual situations. A. James Richardson, JD 74, was named shareholder with the Indianapolis firm Brinks Hofer Gilson & Lione. He is involved in all aspects of intellectual property practice including prosecution of patents, licensing and litigation of intellectual property, protection of trade secrets, trademarks, and publicity rights. He is a member of the Indiana and Virginia State Bar Associations and the American Intellectual Property Law Association. Daniel H. Black, JD 76, joined Greenberg Traurig in July as shareholder in the firms Los Angeles entertainment practice. Black has served the entertainment industry for more than 20 years, with clients including production and distribution companies, syndication entities, and on-air television and sports personalities. In August, Fred L. Brown, MA 82, JD 78, was named president and chief executive officer of Northern Arizona Healthcare in Scottsdale, Ariz. Brown is vice chairman of the Board of Commissioners of the Joint Commission on Accreditation of Healthcare Organizations and chair-elect of the National Kidney Foundation. He also served as a visiting scholar and executive-in-residence of GWs School of Public Health and Health Services. Taking over daily direction of the Environmental Law Institute operations as head of its 50-person staff, Leslie Carothers, LLM 78, was named president of ELI. She is chair of the board of directors of the Connecticut Audubon Society and recently retired from United Technologies Corp. in Hartford, Conn. In Honolulu, Marvin Dang, JD 78, was appointed to a three-year term on the American Bar Associations Standing Committee on Delivery of Legal Services in August. Dang has been an attorney in Hawaii for more than 25 years, is chair of the Collection Law Section of the Hawaii State Bar Association, and provides legal advice to members of various national pre-paid legal plans. In August, Joe Kovars, JD 78, was appointed by Maryland Gov. Bob Erlich to serve on a task force to study efficiency in procurement in the state. The group will review methods of increasing efficiency in Marylands procurement processes including the use of market-based procurement methods as well as outsourcing, centralization, and privatization. He was selected for the 2003-04 issue of The Best Lawyers in America and is a principal construction law practice attorney with national firm Ober/Kaler. Sandy Kristoff, JD 78, was appointed senior vice president and chief of staff for New York Life Insurance Co. in September. She previously served as head of government relations for New York Life Interna-tional, the companys overseas arm. Kristoff is responsible for human resources, corporate communications, corporate services, employees health, and the companys governmental affairs office. University of Vermont General Counsel Francine Bazluke, JD 79, was named president of the National Association of College and University Attorneys at the associations national conference in June. Charles J. Moll III, JD 79, was named chair of the State Bar of California Tax Section. He is a tax partner with Morrison & Foerster in its San Francisco office. In May, John D. Murnane, JD 79, became partner in the New York firm Fitzpatrick, Cella, Harper & Scinto. He is president-elect of the New York Intellectual Property Law Association and served on the New York State Task Force on Life and the Law since his 1997 appointment by former Gov. George Pataki. He taught patent law as an adjunct professor at Fordham University and Hofstra University law schools, and he frequently speaks at bar association and civic functions. A health lawyer with Washington firm Epstein Becker & Green, Lynn Shapiro Snyder, JD 79, founded a nonprofit organization to promote senior executive women in the health care industry. Women Business Leaders Foundation works to increase the number of executive women from the health care industry serving on boards of directors. She was honored for her work with the Presidents Award by Women in Health Management, and has been featured in Modern Healthcare magazine. Susan Tomasky, JD 79, received global honors for her work in the energy industry. As executive vice president of policy, finance, and strategic planning and chief financial officer of American Electric Power of Ohio, Tomasky is among 50 key women in energy worldwide for 2002, selected by Rader Energy in association with London-based Commodities Now magazine and corporate sponsors Entergy-Koch and Jacobs Consultancy. She accepted the awards in Essen, Germany, in February. Steve Dubin, JD 80, was elected president of Martek Biosciences Corp. in Columbia, Md., in September. He previously served as chief financial officer, treasurer, secretary, general counsel, and senior vice president of business development for the company. An environmental attorney, Jill A. Kotvis, JD 81, was voted by the Dallas legal community as one of the top lawyers in the city, one of four selected in the category of land use and environment law, in D Magazine. She is a member of the World Affairs Council of Greater Dallas executive committee and is chair of the Steering Committee for Dallas Protocola division of the WACGD responsible for international affairs and protocol for the city. A partner with Foley & Lardner in Springfield, Va., Bern Saxe, JD 81, was appointed as a board member of the Cathedral Choral Society. He has been singing with the society since 1990. At an induction ceremony at the 2003 Spring Meeting of the American College of Trial Lawyers in Boca Raton, Fla., David P. Ackerman, JD 82, became a fellow of the college. Ackerman is a partner of Ackerman, Link & Sartory in West Palm Beach, Fla., and has practiced for 19 years. Scott Arnold, JD 82, joined Dickstein Shapiro Morin & Oshinsky of Washington as partner in September. He was previously a shareholder at Greenberg Traurig in Washington. In his new position, he will work with the firms government contracts practice, providing services in all aspects of the federal and state procurement process, from providing advice regarding contract formation to litigating disputes with the government arising during contract procurement. In June, Mary Hill Leahy, JD 82, was elected senior vice president and general counsel of Journal Communications Inc. of Milwaukee. Leahy oversees the departments responsible for legal, human resources, labor relations, and corporate risk management. Before joining Journal Communications, she was general counsel for North and South America for GE Medical Systems, consulting attorney for Miller Brewing Co., general counsel and chief operating officer of APCO Associates in Washington, and an attorney with Washington firms Arnold & Porter and Wilmer, Cutler & Pickering. A residential real estate sales specialist with Stribling & Associates in New York, Cathy Taub, JD 83, says she is delighted to make a contribution to GW in the name of any alumni who buy or sell real property through her. Assuming the presidency of Women in Housing & Finance, Inc., Lisa Andrews, JD 84, hopes to broaden the diversity of the groups membership and will lead the organization as its members reassess its mission and plans. Andrews is also president of Washington Communications Group, a company that provides strategic legislative management and lobbying in D.C. and more than 10 state capitals. Charlene Moore Hayes, JD 84, formerly associate vice chancellor for human resources at North Carolina State University, was appointed vice president for human resources at Johns Hopkins University. After more than a decade with Inter-American Investment Corp., most recently as general counsel, Raul R. Herrera, BA 81, JD 84, joined Washington firm Winston & Strawn as partner in the international project finance practice. Donald E. Koenig Jr., BA 80, JD 84, was promoted to vice president of corporate responsibility for Catholic Healthcare Partners, headquartered in Cincinnati. He also was appointed to the Audit & Compliance Committee of the Board of Trustees of Catholic Healthcare West, headquartered in San Francisco. As executive director of Rhode Island Kids Count in Providence, R.I., Elizabeth B. Bryant, JD 85, helps the nonprofit agency collect information that could be used to improve the lives of children. She helped establish the organization nine years ago. Donald J. Disbrow, JD 85, joined Washington firm Sonnenschein Nath & Rosenthal as senior attorney. He focuses on international and corporate transactions, the taxation of electronic commerce, tax-exempt organizations, and tax controversy matters. Ardent Health Services named J. Steve Hinkle, JD 85, vice president and chief compliance officer. He joins the company from HCA Inc., where he was senior litigation counsel. Hinkle also served with the U.S. Department of Justice as a trial attorney in the fraud section, criminal division, where he investigated and prosecuted white-collar fraud cases, and served as an attorney with the U.S. Marine Corps. The Daniels Fund, a charitable foundation founded through the legacy of cable entrepreneur Bill Daniels, named former Sen. Hank Brown (R-Colo.), LLM 86, president and chief executive officer of the organization. Brown also has served as president of the University of Northern Colorado and has held five consecutive terms in Congress. In July, S. Wade Malone, BA 83, JD 86, became president of the Atlanta Bar Association, the largest voluntary bar in the Southeast. The Federal Trade Commission appointed Bernard (Barry) A. Nigro Jr., JD 86, deputy director of the Bureau of Competition. A partner in the Cherry Hill, N.J., office of Dilworth Paxson, Stephen P. Pazan, JD 86, pre-sented Practical Insights to HIPAA, a program addressing who is covered by the act, use, and disclosure of protected health information, rights under the act, and business associate issues and contracts. Elizabeth A. Price, JD 86, was elected second vice president of the Atlanta Bar Association. 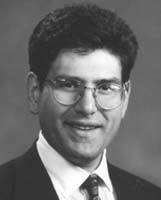 A partner with the Doylestown, Pa., office of Fox Rothschild, M. Joel Bolstein, BA 82, JD 87, was ranked among the top 15 Pennsylvania environmental lawyers by Chambers & Partners USA. Bolstein also was appointed by Environmental Protection Agency Administrator Christie Todd Whitman to serve a two-year term on the National Advisory Council for Environmental Policy & Technology. In June, Joseph P. Costa, JD 87, opened the firm Costa, Abrams & Coate in Santa Monica, Calif. Bringing more than 15 years of litigation and transactional experience to the firm, Costa also serves as a panel attorney for the California Lawyers for the Arts. Electronic payments company NYCE Corp. promoted James S. Judd, JD 87, to executive vice president. Judd joined NYCE in 1995, and his responsibilities include management of the NYCE Network business, overall marketing communications, and serving as the companys chief legal officer. Anthony Venturino, JD 87, a partner with Washington patent and trademark firm Stevens, Davis, Miller & Mosher, was elected president of the National Associa-tion of Patent Practitioners. He will serve from 2003 to 2006. NAPP is a nonprofit organization dedicated to supporting patent practitioners and those working in the field of patent law in matters relating to patent law, its practice, and technological advances. He can be contacted at venturino@stevensdavis.com. The new president of the Womens Bar Association of the District of Columbia is Paulette E. Chapman, JD 88. Chapman is a partner at Koonz, McKenney, Johnson, DePaolis & Lightfoot, where she focuses on plaintiffs personal injury litigation. Boasting more than 1,200 members, WBA celebrated Chapmans leadership at its annual awards dinner in May. 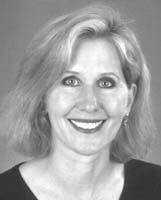 Joining the Washington office of Greenberg Traurig in May, Susan Renton, LLM 88, specializes in international trade law. She also is a new mom. Her daughter, Samantha Renee, was born in October 2002. Clyde E. Bailey Sr., LLM 89, a patent attorney at Eastman Kodak, was inaugurated in August as president of the National Bar Association at the organizations annual convention in New Orleans. 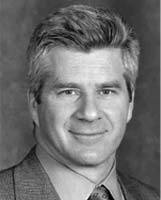 Bailey has been with Kodak since 1991 and also is president of the National Inventors Hall of Fame Board of Directors. In Hollywood, Fla., Carlton A. Bober, JD 89, joined Vernis & Bowling as managing attorney of the firms liability department. He specializes in liability, negligence, employment discrimination, and white collar criminal defense. He is admitted to practice in all state courts in Florida, the District Court for the Southern District of Florida, and the District of Columbia. A partner with Silver Spring, Md., firm Marks & Katz, Jonathan L. Katz, JD 89, works with numerous constitutional law battles for civil and criminal clients. In one of his latest challenges, Katz represented a veterans group to contest the constitutionality of a federal statute subjecting military retirement pay to property division in state divorce proceedings. Specializing in corporate and bankruptcy law, John G. Loughnane, JD 90, joined Gadsby Hannah, a Boston business and technology firm. Ian D. Meklinsky, BA 88, JD 91, was named to the executive committee of the Joshua Kahan Funda charitable organization committed to supporting pediatric leukemia research. He is partner with Fox Rothschild in Lawrenceville, N.J.
Greg Brower, JD 92, is legislative counsel in the executive office for U.S. attorneys in the Department of Justice. He was formerly a litigation partner in the Nevada law firm Jones Vargas. He is a former member of the Nevada State Legislature. A founding partner in the intellectual property firm Stallman & Pollack in San Francisco, Kathleen Frost, JD 92, completed the Hawaii Ironman Triathalon in October. Thomas E. Propson, JD 92, was named to Minnesota Law & Politics Magazines annual list of Super Lawyers. The list is compiled after reviewing a survey of about 15,000 Minnesota attorneys and is limited to the top five percent of those attorneys garnering votes. Propson practices in commercial and complex litigation with an emphasis on intellectual property and employment disputes. Sidley Austin Brown & Wood in Washington promoted David W. Woodward, JD 92, to partner. He concentrates on intellectual property. A founding dean of the Ave Maria School of Law in Ann Arbor, Mich., Michael O. Kenney, LLM 93, was promoted to associate dean for external affairs. Kenney was the first person hired at Ave Maria when it opened three years ago. The school was granted provisional accreditation by the American Bar Association in August 2002. A law school may apply for full accreditation two years after receiving provisional accreditation. Ark of the Broken Covenant: Protecting the Worlds Biodiversity Hotspots (Praeger Publishers, 2003) is the second book by John C. Kunich, LLM 93. Kunich is a Roger Williams University Ralph R. Papitto School of Law associate professor. Serving in the Firearms Trafficking Unit of the Manhattan District Attorneys Office since 1995, Anthony M. Capozzolo, JD 94, was promoted to deputy unit chief. After serving as a law clerk for the Board of Contract Appeals for the U.S. Department of Housing and Urban Development, Laura L. Hoffman, JD 94, joined Washington firm Pepper Hamilton as of counsel. To enhance her capabilities in historic preservation law, she is pursuing a masters of applied anthropology degree, with a concentration in historical archaeology, at the University of Maryland, College Park. With litigation experience including environmental compliance assistance, environmental counseling relating to business transactions, and trial and appellate work in civil and criminal environmental matters, Lee D. Hoffman, JD 94, LLM 96, joined Hartford, Conn., firm Pullman & Comley. As partner in the 60-attorney law firm Schenck, Price, Smith & King in Morristown, N.J., Eric Inglis, BA 90, JD 94, is a member of the firms commercial litigation department with a concentration in real estate matters. Choice Hotels International appointed Paul Mamalian, BA 91, JD 94, to its in-house legal department, where he is responsible for the companys securities compliance, corporate governance, mergers and acquisitions, and various transactional matters. Parsons Behle & Latimer of Salt Lake City in August announced N. Kenneth Burraston, JD 95, joined the firm as a member of its technology and intellectual property department. He was previously chief patent counsel at FormFactor, a California company specializing in semiconductor testing. After receiving a PhD in legal history at Harvard University, Dan Hamilton, JD 95, is spending the 2003-04 academic year as a Golieb fellow in legal history at New York University Law School. In the Bethesda, Md., headquarters of Lockheed Martin Corp., Karen R. Penn, JD 95, is the director of corporate ethics and compliance programs. In July, the Export-Import Bank of the United States presented the Chairmans Award to Howard Schweitzer, JD 95. The award is given to an employee whose performance and accomplishments have resulted in significant benefits to the organization. Schweitzer serves as assistant general counsel for administration. Gordon S. Woodward, JD 95, joined Arter & Hadden in Washington as an associate in the firms litigation practice group, concentrating on insurance defense and commercial litigation. Max Riederer, LLM 96, was elected to the Board of the German School in Washington. He concentrates on international law and trust estate planning, and is outside general counsel for the German Embassy and German military personnel in the United States and Canada. On Nov. 24, Gina M. (Boscarino) Bouloy, JD 97, MPH 97, married Drew Bouloy. In early 2003, she became a shareholder in Feder Semo & Bard in Washington. On May 24, Melissa Levine Miles, JD 97, married Jonathan J. Miles. The couple resides in Wash-ington, where she is an associate with Skadden Arps Slate Meagher & Flom. On January 28, Dana (Cohen) Pashkoff, JD 97, and Paul Pashkoff, JD 97, celebrated the birth of their first child, Abigail Rose. Dana Pashkoff specializes in government contracts law at McKenna Long & Aldridge, and Paul Pashkoff is an associate at Fried Frank Harris Shriver & Jacobson, both in Washington. The American Bar Associations Commission on Domestic Violence in July named Robin Runge, JD 97, director. In July, Legal Aid and Defender Association Inc. appointed Shirley J. Whitsitt, LLM 97, managing attorney and director of its Highland Park office in Detroit. The National Center for Missing & Exploited Children, based in Alexandria, Va., named Susan Brinkerhoff, JD 98, its vice president and general counsel. Todd Emerson, JD 98, was appointed director of government and legal affairs for SkyWest Airlines. He works at the corporate headquarters in St. George, Utah, and is responsible for the overall government and legal strategies of SkyWest. In the Salt Lake City firm Parr Waddoups Brown Gee & Loveless, Timothy B. Smith, JD 98, was promoted to shareholder. He is a registered patent attorney and a member of the firms commercial litigation group, focusing on intellectual property, media, First Amendment, and design and construction law. He can be reached at tbs@pwlaw.com. Based in Morristown, N.J., the firm Riker, Danzig, Scherer, Hyland & Perretti named Frank J. Vitolo, JD 98, an associate. Vitolo, of Hoboken, N.J., was an associate with Keller and Heckman of Washington and also is admitted to practice in New York. Scully Scott Murphy & Presser in New York named Keith A. Weltsch, JD 98, an associate. He specializes in U.S. and foreign trademark prosecution and clearance and is experienced in oppositions and cancellations before the Trademark Trial and Appeal Board, conducting settlement negotia-tions and preparing consent and coexistence agreements relating to trademark litigation. He also is knowledgeable in copyright and domain name dispute laws and litigations. Paul N. Barger, JD 99, is an associate with Morristown, N.J., firm Riker, Danzig, Scherer, Hyland & Perretti. He practices in the firms school law group. William Ihrke, JD 99, is an associate practicing employment law at Krupin OBrien in Washington. He spent two years as a staff attorney for the U.S. Court of Appeals for the District of Columbia circuit. After serving the U.S. Department of Commerce, David Salkeld, BA 96, MA 00, JD 00, in January became an attorney and adviser with the U.S. Customs Service, where he handles international trade matters. Specializing in employee benefits law, Keith L. Thornton, JD 00, is vice president and associate general counsel of Wachovia Corp. He specializes in ERISA/employee benefits law. John Gambaccini, JD 00, and Janice Glass, JD 01, were married Sept. 28, 2002, in Annapolis, Md. The couple resides in Cleveland. She is a health care associate at McDonald Hopkins and he is a corporate associate with Benesch, Friedlander. Concentrating in all phases of real estate transactions, Steven A. Shoumer, JD 01, joined Philadelphia firm Blank Rome as an associate in its real estate practice group. He is a member of the Pennsylvania and Philadelphia Bar Associations. The day he argued against the new campaign finance reform law at the Supreme Court, Bobby Burchfield was checking his watch. The minute the case was over, I walked down the courthouse steps, handed off my briefcase to a paralegal, picked up another one, and jumped into a car headed for the airport, his flight bound for Plymouth, Mass., where a wrongful death trial awaited him. He made the opening statement in that case the next day. Burchfield obtained his law degree at GW in 1979, although you would never know it if you saw him. Both in appearance and energy, he seems to be no older than his thirties. 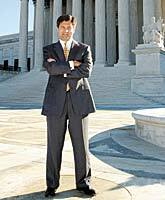 His specialty is trial lawwith complex corporate litigation in areas ranging the full spectrum of the law (though many cases have been concentrated in politics, antitrust, securities fraud, and commercial disputes). BankOne, Dow Corning, Exxon, the National Football League, and Microsoft are just a few client names. The path to his first Supreme Court case was not surprising. 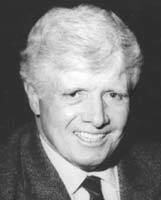 Burchfield was selected for a special session of the court held in September to hear arguments on the Biparti-san Campaign Reform Act of 2002 by several groups opposed to the law, the frontrunners being his client, the Republican National Party, and the California Democratic Commit-tee. Burchfield was one of four attorneys selected to address the act as it relates to political parties. In a lot of respects, the argument was the culmination of more than a decade of work that Ive done in this particular area of law, he notes. Burchfield, co-chair of Covington and Burlings litigation group, was the general counsel for the first President Bushs re-election campaign in 1992, and from that point forward he has added campaign finance litigation of all kinds to his mix of cases. Campaign finance reform is difficult to follow in the news, much less in the courts. There was a huge factual record that we had to master, Burchfield admits, as there is with many of his casesincluding the one he handled in Plymouth. But thats what hes good at. One example: Hes never lost a jury trial. Despite his toughness in litigation, Burchfield is a humble man who, when not working on his cases, enjoys time with his family (wife Terri and 5-year-old daughter Taylor Nicole) and helps his undergraduate alma mater, Wake Forest, most recently as a president of its alumni association. Hailing from North Carolinaas you can tell from a slight accentBurchfield moved to the Washington area to go to law school and never left. I made a decision a long time ago to practice here. Attending GW gave me a chance to live in a major city, and I fell in love with Washington while I was here. I was able to work at a number of very fine law firms and see the legal practice in the city. For example, during his second year of law school, he worked for Clark Clifford, a well-known Washington attorney who advised several U.S. presidents. Burchfield was the first in his family to go to law school, and he still is the only family member involved in the law today. He cites his parents (and Perry Mason shows) as inspiration and hopes to be just as supportive of his daughter in whatever she chooses to pursue. To prospective litigators, he suggests three things: Enjoy law school and develop an appreciation for the profession; acknowledge the importance of good writing skills and sharpen them; and develop habits of dedication, to be willing to go the extra mileto work hard, to accomplish a goal, he says. It is advice Burchfield has followed, both in and out of the courtroom. Perry Mason would be proud. Rear Adm. Micheal F. Lohr, LLM 84; Major Keith Forkin, LLM 02; and Brig. Gen. Keith Sandkuhler, LLM 91 . The Law School is accustomed to graduating very successful attorneys, and Major Keith Forkin is no exception. Forkin, a 2002 LLM graduate of the Law School and a major in the Marine Corps Judge Advocate Generals Corps, recently was honored by the American Bar Association with the Outstanding Young Military Service Lawyer Award for 2003. This annual award is given to a young attorney in the U.S. military who demonstrates consistently excellent performance in the delivery of legal services, proven leadership ability, commitment to public service, and evidence of scholarly activity. Lt. Cmdr. Robert A. Williams, a Law Section Head at the U.S. Naval Academy in Annapolis, Md., recommended Forkin as a leader of impeccable character, a gifted instructor, and a dedicated mentor and volunteer. Forkin was recognized Aug. 8 at the stately Palace Hotel in San Francisco during the Annual Meeting of the ABA. Among those in attendance to congratulate the major was Rear Adm. Michael F. Lohr, LLM 84, the judge advocate general of the U.S. Navy. The major also was joined by Brig. Gen. Keith Sandkuhler, LLM 91, the staff judge advocate to the commandant of the U.S. Marine Corps. Forkin is accustomed to personal achievement and recognition of it. In the military, he has received the Navy and Marine Corps Achievement Medal, the National Defense Service Medal, and the Association of Trial Lawyers of America Award for Trial Advocacy Excellence. He also received the ABAs Award for Legal Assistance Excellence. Forkin was also recognized recently as the first recipient of the annual John S. Jenkins Memorial Scholarship Fund. Jenkins, JD 61, formerly the head of the U.S. Navy JAG Corps and then senior associate dean at the Law School, established this charitable fund to encourage and recognize professional excellence in young military lawyers who study at GW Law. Jenkins also served as special counsel to the secretary of the Navy and taught at the Naval Justice School. Communication and connection are hallmarks of the varied career choices and interests of Cynthia Hardin Milligan, JD 70. Whether working in education, government, business, or law, she continually seeks to foster a sense of community and a learning environment. As the eighth dean of the University of Nebraska-Lincoln College of Business Administration, she uses her insights and practical knowledge to connect students with prominent members of the business community. Building a bridge between the educational and professional worlds for her students is a goal inspired by her GW Law School experience. Her connections to the legal community began in D.C. when she and her future husband and fellow Nebraska native Robert Milligan, JD 71, attended GW. Milligan was attracted to law because she wanted to face real-world issues and challenges; she was attracted to the Law School because of its excellent tax law program. After graduation, Milligan was an adjunct professor at Georgetown and practiced tax and real estate law with Washington firm Arent, Fox, Kintner, Plotkin & Kahn for seven years before she and her husband moved back to Nebraska. There, she expanded her practice to include general business, international business, taxation, securities, banking, corporate, partnership, estate planning, and probate law as senior partner of Lincoln firm Rembolt, Ludtke, Parker, Milligan and Berger from 1977 to 1987. The move was quite a change, both in location and in my practice. I was able to live close to the office with no commute and also was able to grow a firm and enjoy the rapport I had with my peers and my clients, in practice and out in the community, Milligan says. The change gave Milligan and her husband a better opportunity to focus care and attention on their five children, one of whom is also a GW Law grad. Milligan says the support of her husband and children allows her to pursue her career interests while putting her family first. Its not always easyits a continuous process to find balance. Were constantly working to keep our priorities straight: Family above work, she says. Family ties help in her current role as well. She learned about university administration from her father, former University of Nebraska Chancellor Clifford Hardin, whom she said instilled in her a love of learning, which she seeks to pass on to her students. I spend as much time with students as possible. When youre working in education, you know you can open doors and change lives, she says. Engaging Nebraska business professionals with whom she has worked for more than 20 years, Milligan develops strong international business, business leadership, and business ethics programs for UNL. She invites CEOs such as UNL alumnus Warren Buffet to teach classes and serve as professional mentors and judges of student competitions. Her business and educational expertise is gleaned from decades of work in the Nebraska business and learning communities. She was an adjunct professor at the University of Nebraska College of Law and was education adviser to former Gov. Kay Orr (R-Neb.) 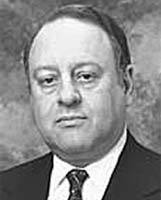 and director of the Nebraska Department of Banking to and Finance from 1987-1991, serving as the chief regulator of the financial and securities industries in the state. She later founded banking consulting firm Cynthia Milligan and Associates and currently serves on the boards of several organizations including Gallup Inc., Wells Fargo, and the Kellogg Foundation. In the classroom, in business meetings, at home, and in the courtroom, Milligan says working with others is the key to her success. In May, St. Petersburg, Russia, marked the 300th anniversary of its founding with celebrations, exhibits, and visits from global leaders. The city, which contributes to the world through architecture, industry, culture, and rich history, captured the imagination of scholar and onetime resident Arthur George, JD 83. After nine years of research and writing, George published St. Petersburg, Russias Window to the Future: The First Three Centuries (Taylor Trade Publishing, 2003). A partner in Chicago with global law firm Baker & McKenzie, he practices in the areas of Russian and CIS trade and investment. George visited GW in October to speak about his book, the history of the city, and the impact St. Petersburg has on politics, law, culture, and events in Russia and around the world. He discussed the historical and current role of St. Petersburg in Russia and his love for the city at a luncheon lecture attended by faculty members, students, and staff. Drawing on his legal expertise during the writing process, George says St. Petersburg may soon be established as Russias city of law. George says one of the citys historical legacies was to bring legal consciousness to Russia and stimulate movements toward civil society. As Russia continues to emerge from the Soviet era and become a modern market economy, recovering from the 1998 financial crisis and moving toward World Trade Organization membershipand as Western investors renew interest in Russia after economic recessionthere is intensified Western consciousness in the countrys progress toward rule of law and democracy. The city also is returning to its former physical magnificence. George says this resurgence is due largely in part to the efforts of President Vladimir Putin, a native of the city. Putin wants to showcase the city, to make it a place where he can welcome leaders from all over the world. He renovated Konstantinovsky Palace, which was almost a ruin, and turned it into the presidential palace where he brought 45 heads of state for the 300th anniversary celebrations. He likes to bring foreign guests to St. Petersburg instead of Moscow, George says, citing the anniversary as the catalyst to many of the citys recent changes. The anniversary was also one inspiration for Georges book, the leading comprehensive history of St. Petersburg published in English. As he researched the events, politics, and legal issues that shaped St. Petersburg, George says he discovered close ties between the citys culture and political reform efforts. George first traveled to Russia in 1979 when he visited Leningrad as a student exploring Russian language and history. He returned in 1980 and traveled across the country, experiencing the impacts of events such as the Afghanistan war, the boycott of the Moscow Olympic Games, and the Solidarity crisis in Poland. It was also in 1980 that he met Elena George, who would later become his wife and a contributor to the book. He returned to the United States to study Soviet law at GW, graduating in 1983. 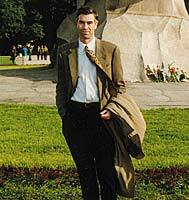 After graduation, he practiced with Baker & McKenzie in Washington, then returned to the USSR to co-found the firms Moscow office in January 1989 and lived there until 1992, witnessing revolutionary changes. The sharp rise of business and investment activity and of leading political reforms in St. Petersburg prompted George and his firm to open an office there, which he ran from 1992 to 1997. George says he appreciates the chance he had to see St. Petersburg through American eyes while living with his wife, a native, and he found that there is much Russia and the United States have in common. I saw how the Russians had to struggle to develop their current way of life, and I appreciated how difficult that struggle was. I saw many of the same dynamics of the political scene develop in Russia that existed in the United States: our common human and national values; and the role of political practices, the media, and interest groups, including the influence of big business, George says. The history of the city, and the commonalities between the reforms he was witnessing and the original plan for St. Petersburg to modernize Russia, inspired George. He says the result of 300 years of labor, learning, revolution, and rebirth is a city rich in history with a promising future.